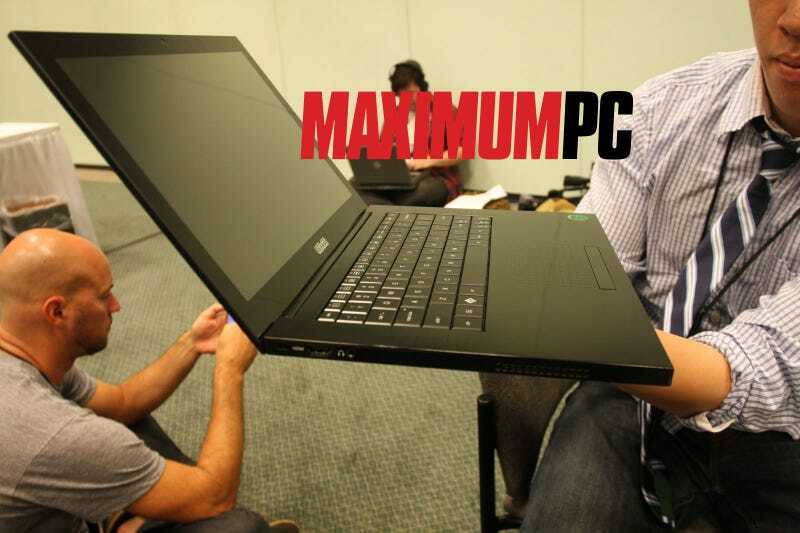 Laptop and Maximum PC have gotten their hands on Voodoo/HP's Envy 133 thinnest-of-the-thin power notebooks and had some light hands on time. Nothing too shocking has been uncovered—it looks as good in person as it does in pictures, is almost as light as the Macbook Air, and all the rest, but Laptop was able to test one of the Envy's more interesting features, the Splashtop instant-on Linux kernel. Voodoo calls their version the IOS, which they claim can get you onto the web from a cold start in less than five seconds. Laptop found that power-on to surfing with the modified Firefox browser took around 15 seconds—still not too bad, compared to a 50-second boot time for Vista. Other open source apps like Pidgin, Skype, and basic photo and media players are also on board. One interesting thing is that the main filesystem is unavailable in IOS mode on the model they tested—files must be saved to a USB stick. Maximum PC had more of a gropefest than hands-on, but they did note the glossy case tends to pick up a lot of fingerprints (hence the included microfiber shammy, of course). They also didn't detect much of a difference weight wise with a Macbook Air, even though the spec sheet gives the Envy and extra half pound.